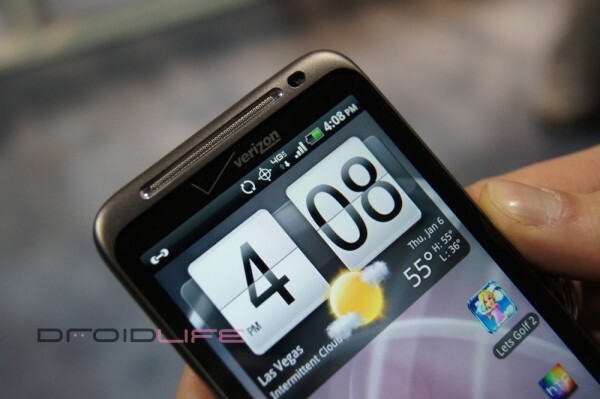 Well we’re getting closer to an official launch for the HTC Thunderbolt. Best Buy just announced that they are the exclusive retail partner for the device, but forgot to mention the most important thing…an actual date. They did toss out a “launch in mid-February” note, but that’s not making anyone who already put down $50 on a pre-order any happier. Note: After reading the comments, I should probably clarify what “exclusive” means in this situation. This doesn’t mean that Verizon won’t be selling it, it just means that you likely won’t see the phone in Radio Shack or Walmart. All Verizon stores will still be selling it like crazy. Your turn Verizon! BBY presser after the break. MINNEAPOLIS, Feb. 7, 2011 – Best Buy today announced the immediate pre-sale availability of the HTC ThunderBolt at Best Buy and Best Buy Mobile standalone stores nationwide. The HTC ThunderBolt, which will launch in mid-February as a national retail exclusive for Best Buy, is the first smart phone on the Verizon Wireless 4G LTE network. Best Buy Mobile offers an array of services aimed at improving customers’ experience, including Walk Out Working, Upgrade Checker, Happy24, Buy Back and a full array of accessories for customers to protect and personalize their device. Best Buy Mobile was founded in 2006 with a goal of changing the way consumers shop for and purchase mobile phones in America. Today, Best Buy Mobile is in every Best Buy store and also has 158 Best Buy Mobile specialty stores around the country. Best Mobile features one of the largest selections of carriers, handsets and accessories available anywhere. Employees undergo at least 80 hours of intensive training, as well as continuing education on mobile phone technology and trends to help customers get the most of their mobile phones. For more information about Best Buy Mobile, visit www.bestbuy.com/mobile or www.bestbuymobile.com. With operations in the United States, Canada, Europe, China, Mexico and Turkey, Best Buy is a multinational retailer of technology and entertainment products and services with a commitment to growth and innovation. The Best Buy family of brands and partnerships collectively generates more than $49 billion in annual revenue and includes brands such as Best Buy; Best Buy Mobile; Audiovisions; The Carphone Warehouse; Future Shop; Geek Squad, Jiangsu Five Star; Magnolia Audio Video; Napster; Pacific Sales; and The Phone House. Approximately 180,000 employees apply their talents to help bring the benefits of these brands to life for customers through retail locations, multiple call centers and Web sites, in-home solutions, product delivery and activities in our communities. Community partnership is central to the way Best Buy does business. In fiscal 2010, Best Buy donated a combined $25.2 million to improve the vitality of the communities where their employees and customers live and work. For more information about Best Buy, visit www.bestbuy.com.